Susan Bulkeley Butler began paving the way for women in the work world at a young age. She was one of five women in the first graduating class of Purdue University's Krannert School of Management. After graduation, she became the first female professional hired at Arthur Andersen Consulting (now known as Accenture) and worked her way up to become the firm's first female partner. 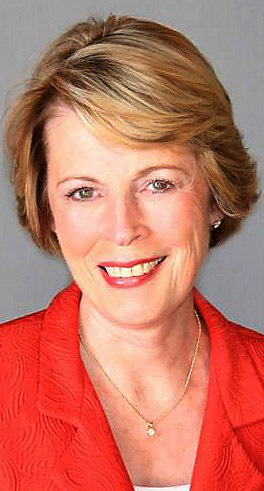 When she retired in 2002 she was serving as chief of staff for the company's chairman and CEO. As someone who has accomplished many "firsts" in her lifetime, Butler - now a Tucson resident - decided to put her knowledge and experience into writing "Women Count: A Guide to Changing the World." The book, co-authored by Bob Keefe, was released in August by Purdue University Press. "Women Count" is available online at www.amazon.com as well at Barnes & Noble and Borders bookstores. Its list price is $24.95. A. I was always looking up and seeing that there weren't any women in leadership roles, or if there were, there were very few. So I got to thinking that within my lifetime I want to see this picture change. This next decade is the decade for women; we're going to take responsibility for who we are and who we want to be. A. "Women Count" is really about changing the world and saying, "OK, how is it that we're going to change the world and what difference do we want to see in the future?" As an example, only 18 percent of senior leadership roles in organizations today are filled by women. Now, what's wrong with this picture? How can we as women take charge of our lives and help other people to get into senior leadership roles in whatever organization they are involved with, to be a leader, to step up and step out and change that number? I'd say by 2020 I want to see that number up to 30 percent. Q. How did you become an expert on empowering women? A. I lived it. Basically, this is what I have done for my 36-year career. I also founded the Susan Bulkeley Butler Institute for the Development of Women Leaders, then I published my first book, "Becoming the CEO of You, Inc." I also have an executive coaching practice, and I have a newsletter I publish once a month. Q. What made you decide to become an author? A. I retired in 2002, and at that time the dean of the business school at UA took me out to eat one day and his question to me was, "Susan, what are you going to say you accomplished in five years?" Q. What are some key steps to becoming a successful businesswoman? A. What I would like young women to do is think about what it is that they would like to change in three to five years and be able to describe that. Write an e-mail and date it three years from now and envision the future of where you are and describe it. Then you put the plan together and you start working the plan. The next thing is to figure out who's on your team because you can't do it by yourself. You need a team of people: Whether they're mentors, coaches, parents, role models or teachers from college, they're there to help you achieve your goals and help open doors to get you to where you want to be. Q. What do women offer the work world that's different from men? A. The key thing is that we bring different ways of thinking. We bring different skills and capabilities. One consulting firm said that women leaders are generally more persuasive, more inclusive and less risk-adverse. We need more sisters to work with our brothers to come up with better solutions for the world, and that's another goal of mine for 2020. Q. Is your book strictly for women or can men learn something from it, too? A. I've had several men read my book, and they would say every man out there should read it because they will see their daughters and granddaughters in the book and say, "I need to be a part of making the world a better place for them." To read more about locally written books, see the Southern Arizona Authors feature, published the first Sunday of each month in the Arizona Daily Star's Vamos section.